I have a ton of makeup and it's hard to keep it all in one place. The worst thing is having it all in a carrying case but then having to dig through all the products to find the one I want to use! Enter the Display-Sheet Makeup bag - a drawstring bag with a display sheet that you can pull out and dump all your makeup onto. Then after applying your makeup, you simply lift the display sheet and slide the items back into the bag. Easy peasy! 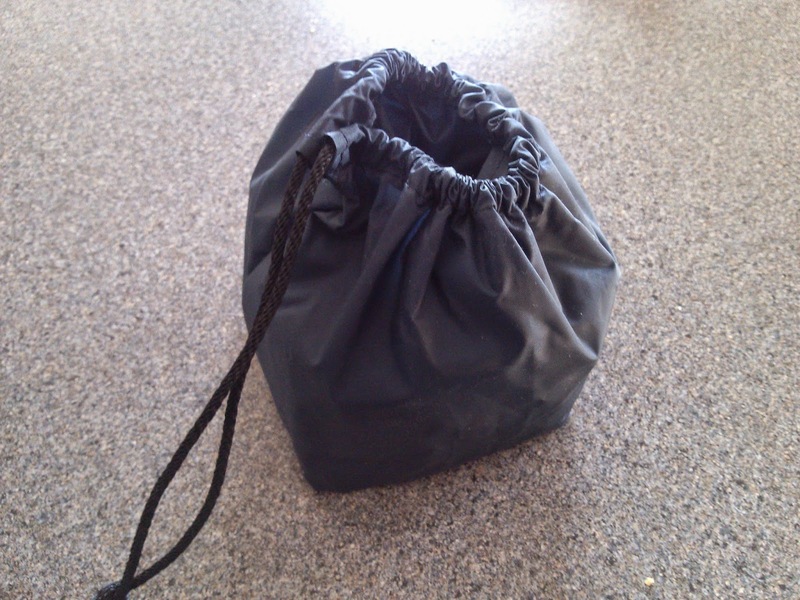 This little bag holds lots of makeup - more than I even use on a daily basis. The photo above is just a fraction of what can all fit in the bag. But it is nice and compact for travel or just everyday storage. (There's a large version too, but I prefer the small.) I love love love the whole idea of this and how easy it makes applying makeup. It's so nice to be able to see all of my products laid out without the hassle of picking them up one by one to put back in a bag. 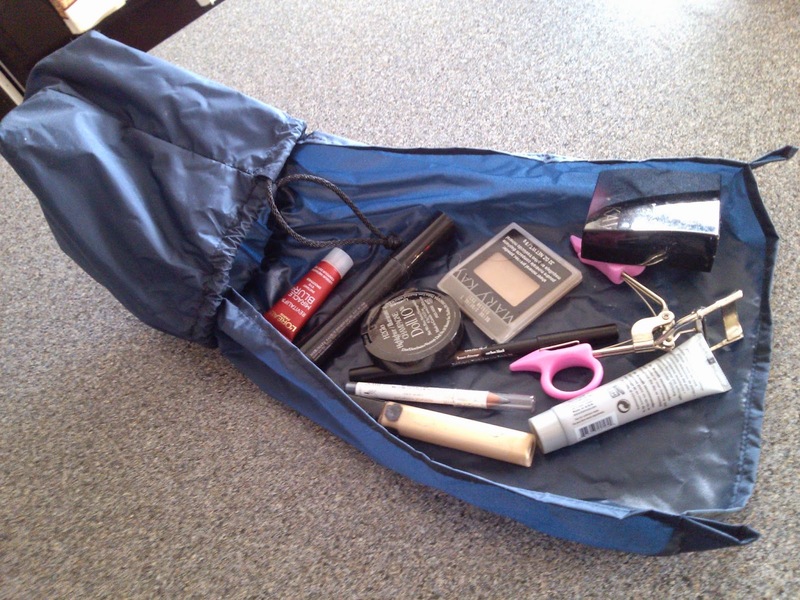 The Display-Sheet Makeup bag is made of nylon fabric and seems like it's easy to wipe clean with a damp cloth. It does cinch up, although I wish it had a clasp at the end of it to keep it more contained during travel. But it works to tie the string up to keep the bag closed. Overall, I like this little product - it keeps me organized and makes quick work of viewing all my makeup at once. Plus it's really affordable too.